No need to make a positive control for your pGreenFire projects—SBI’s already built one for you. 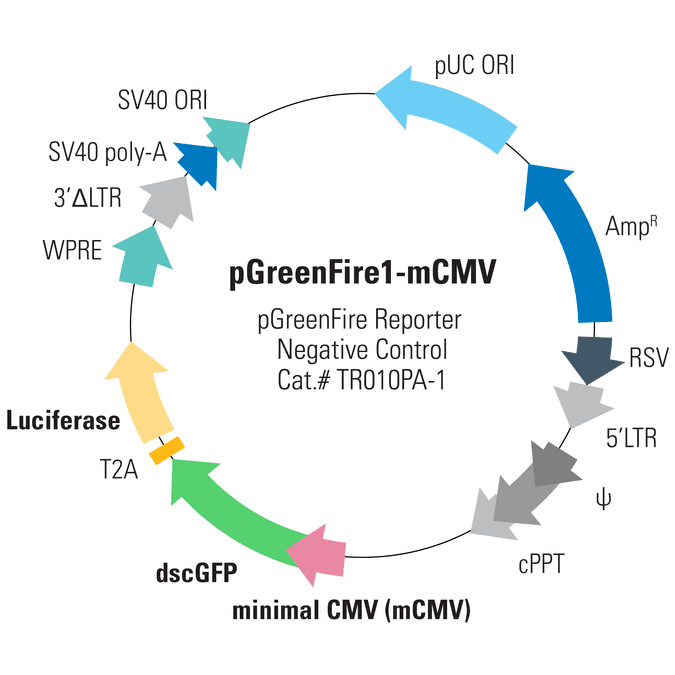 With the pGreenFire1-CMV Positive Control Lentivector, the GreenFire cassette is driven by the CMV promoter for strong expression in common cell lines such as HeLa, HEK293, and HT1080. dscGFP (destabilized copGFP with a 2-hour half-life) and luciferase co-expression is mediated by a T2A element. The pGreenFire1-CMV Positive Control is available as both lentivector and pre-packaged virus.